Village Masti Adventure Farm is a one-stop destination to spend an amazing day-outing during your highly anticipated weekend or holiday. Located in a sleepy village of Isaka in Sohna tehsil of Gurgaon, it is a wonderful weekend getaway for people of Delhi NCR. It boasts of the best location to spend a delightful day picnic. Set against the breathtaking backdrop of mighty Aravali Hill and extended into 522720 square feet of land, Village Masti Adventure Farm also known as Village Masti Resort is an ideal place to have the time of your life. 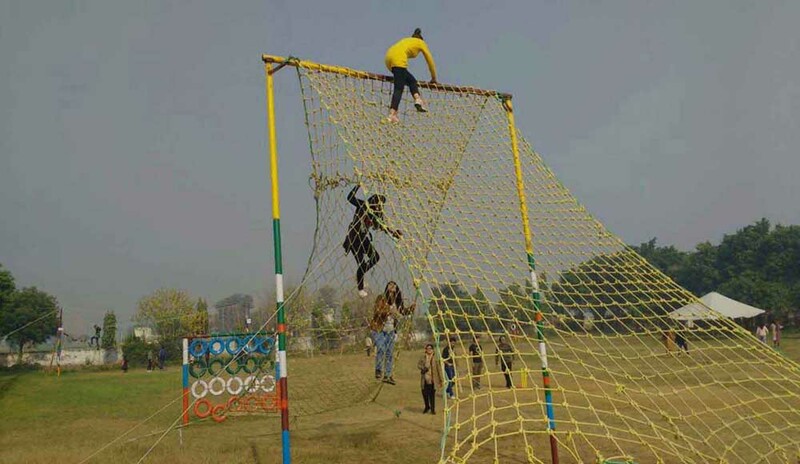 The reason why Village Masti is listed among the best day picnic spots near Gurgaon and Delhi NCR is that it provides the great environment resembling the lively atmosphere of villages. It is among the fewest picnic spots which allow the group of people to celebrate their picnic in their own style. Especially Bengali families seek great pleasure cooking by themselves and so keeping this in mind, Village Masti Resort offers picnic place for rent as well. Equipped with a splendid swimming pool, it hosts pool parties on a regular basis for its guests. Being one of the best farms in Gurgaon, it attracts a large number of families, corporate and youth. Due to its scenic atmosphere ornamented by lawns, gardens and several adventure activities, it is a suitable venue for weddings as well as for photography. It is also an ultimate corporate outing spot near Delhi and arranges outstanding seminars and presentations for the corporate groups. Arranging tons of adventure activities under the supervision of experts, it is the best adventure spots in and around Gurgaon. Within a reasonable price, enjoy mouth-watering breakfast, lunch and evening snacks along with fun games. Due to all the top-rated amenities within an affordable cost, Village Masti Adventure Farm is serving its hospitality for a long time. Lose yourself in its numberless adventure activities, attain utmost peace by doing meditation and yoga in its calm atmosphere, learn how to handle challenges by indulging into challenging activities and above all, rejuvenate yourself to the maximum at this divine place. It offers several packages that include day outing, school picnic, pool party, overnight camping, overnight room and picnic for rental. If you are looking for a family outing near Gurgaon, this adventure farm is the best choice to make. Take a break out of your busy life and enjoy your day trip to this lovely abode in the lap of Mother Nature.